Manchester United Coach Jose Mourinho has revealed who will start in goal when they play Chelsea later today in the FA Cup final. Many will expect Sergio Romero to start in goal as he started the first four matches of FA Cup before injury ruled him out of the remaining games. 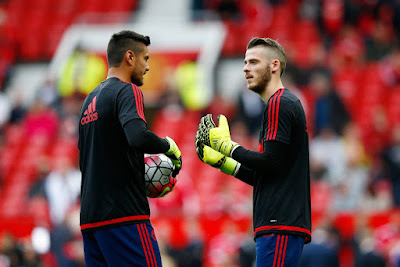 Though the Argentine is fit to play again, but Mourinho has revealed David De Gea will start the game meaning Romero will be on the bench. Mourinho and his men will take the game against Chelsea serious as they are yet to win a trophy this season.